Please note: The digital edition does not include 2 of the 177 images that appear in the physical edition. Once maligned as a swampy outpost, the fledgling city of Chicago brazenly adopted the motto Urbs in Horto or City in a Garden, in 1837. Chicago Gardens shows how this upstart town earned its sobriquet over the next century, from the first vegetable plots at Fort Dearborn to innovative garden designs at the 1933 World’s Fair. Cathy Jean Maloney has spent decades researching the city’s horticultural heritage, and here she reveals the unusual history of Chicago’s first gardens. Challenged by the region’s clay soil, harsh winters, and fierce winds, Chicago’s pioneering horticulturalists, Maloney demonstrates, found imaginative uses for hardy prairie plants. This same creative spirit thrived in the city’s local fruit and vegetable markets, encouraging the growth of what would become the nation’s produce hub. The vast plains that surrounded Chicago, meanwhile, inspired early landscape architects, such as Frederick Law Olmsted, Jens Jensen, and O.C. Simonds, to new heights of grandeur. 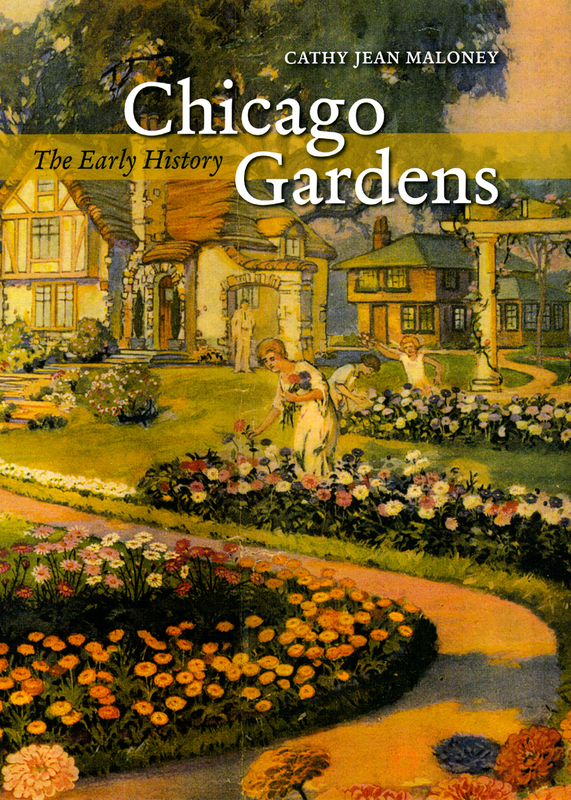 "As well as wonderful vignettes, Chicago Gardens is filled with beautiful illustrations. . . . It is a delightful book."